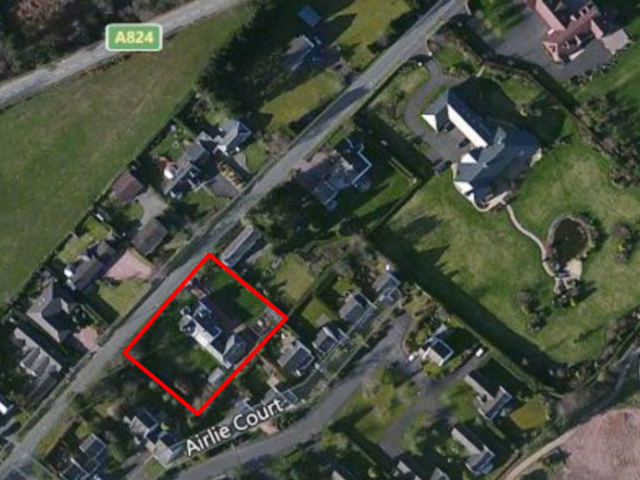 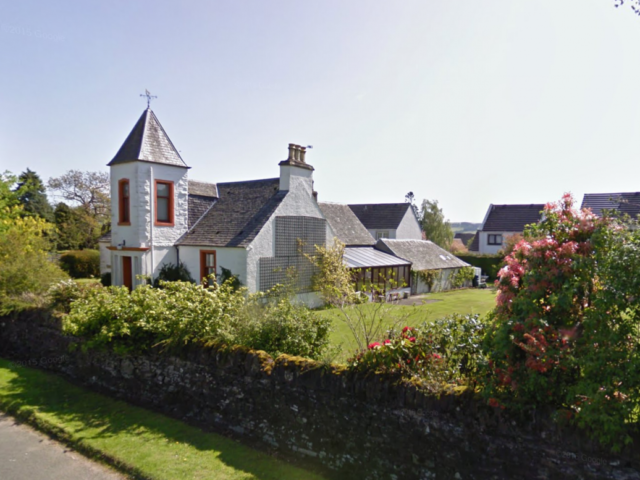 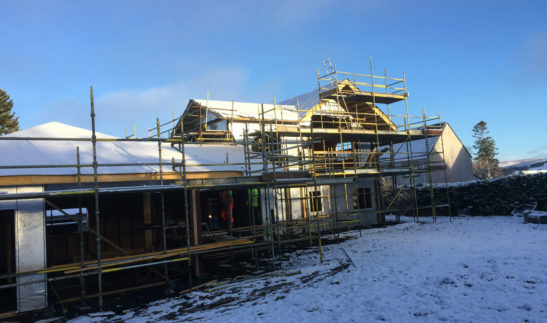 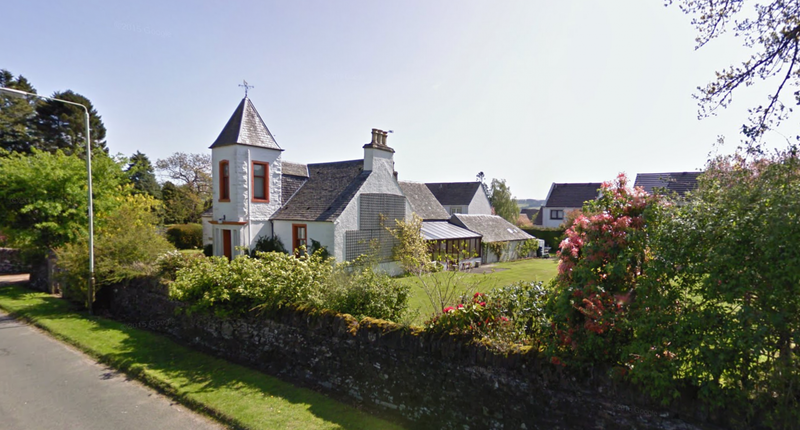 ACA were contacted in early 2015 to complete a pre-application enquiry exercise, in order to ascertain whether or not the local planning team would support the demolition of the existing house and the construction of a new family home. 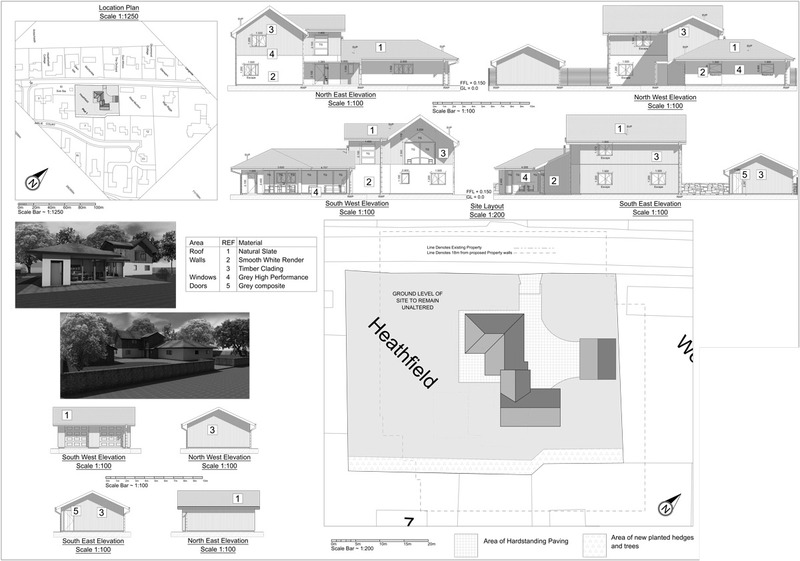 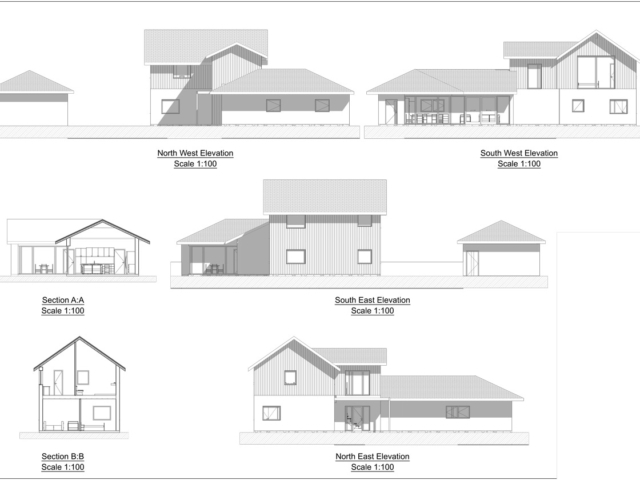 After a successful application, design work started with the clients in order to plan out how their new Self Build house would fit on the site, be laid out and look. 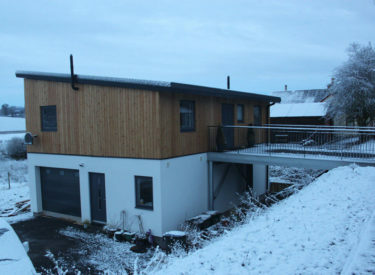 Getting the look of the building right was aided by the use of Pinterest Boards, provided by the clients. 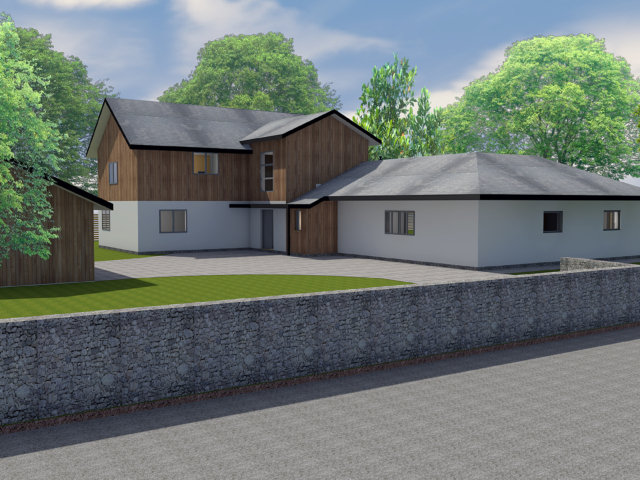 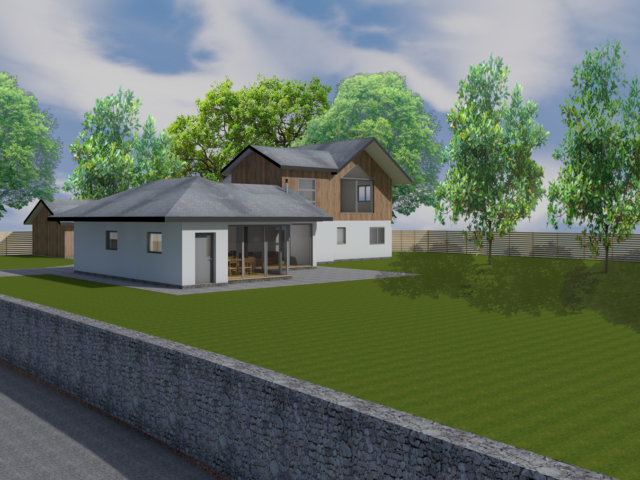 Once a number of options and revisions had been carried out, the clients were delighted with the proposed house design. 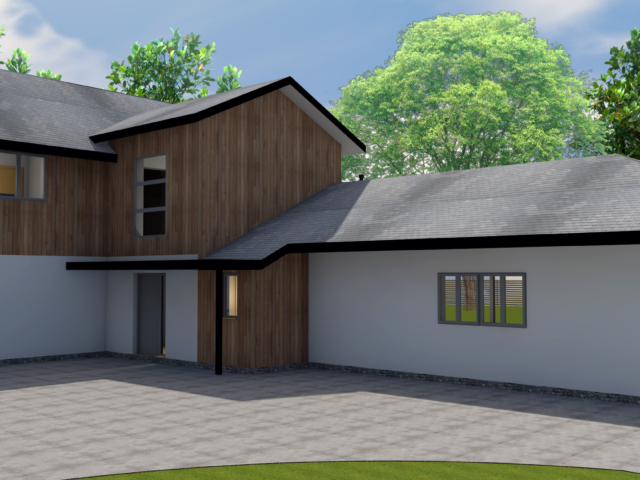 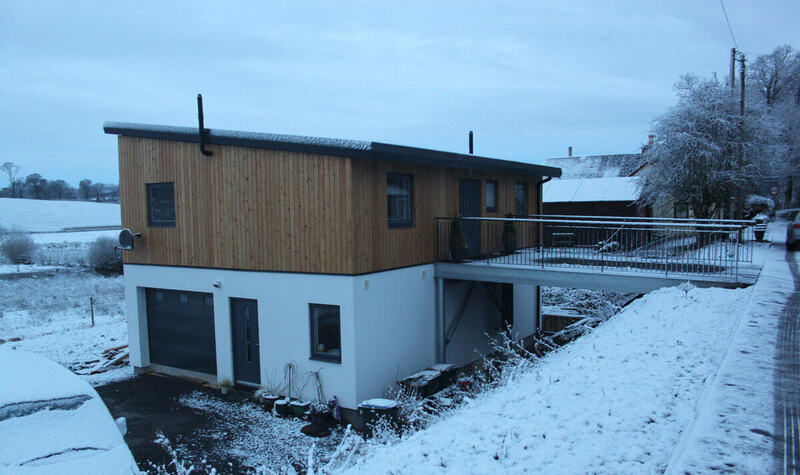 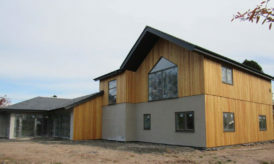 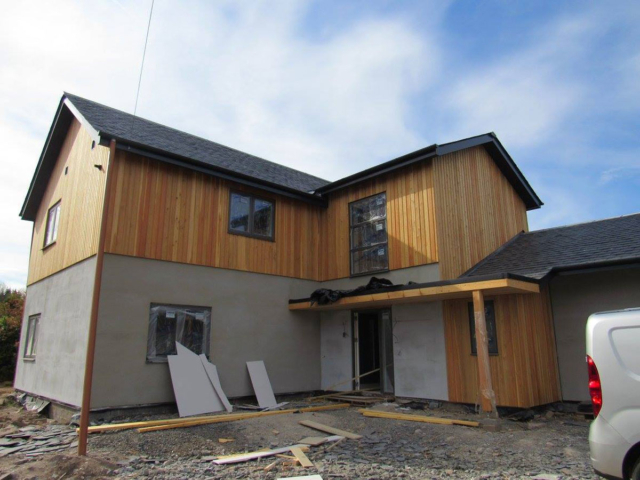 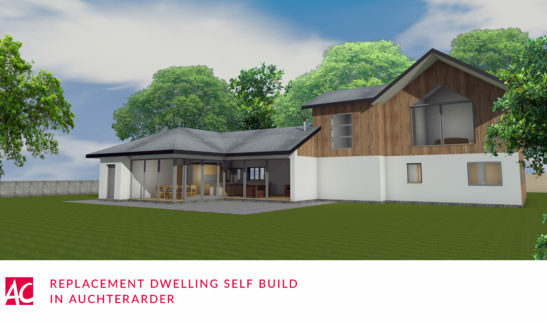 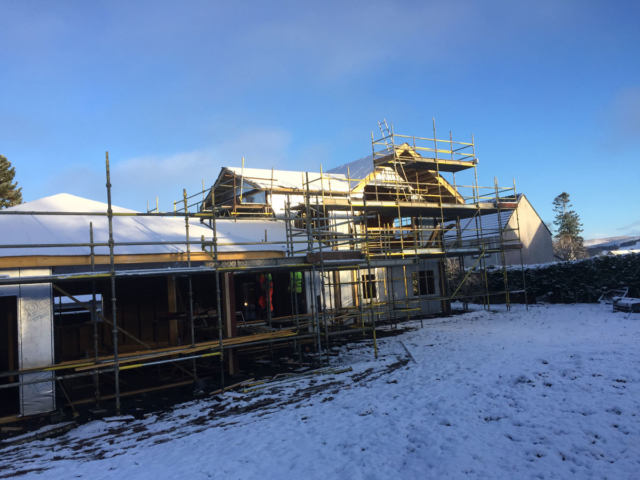 The 2 storey Self Build house, with the majority of the accommodation on the ground floor, has 4 bedrooms – including a master suite. 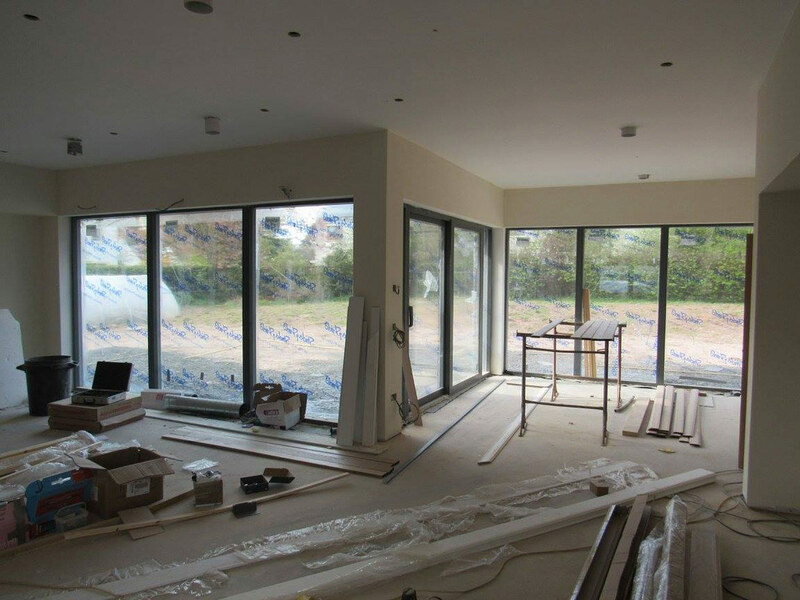 On the ground floor, there is a spacious entrance which leads to a single storey section that has the main living spaces, with large glazed screens opening out into the gardens. 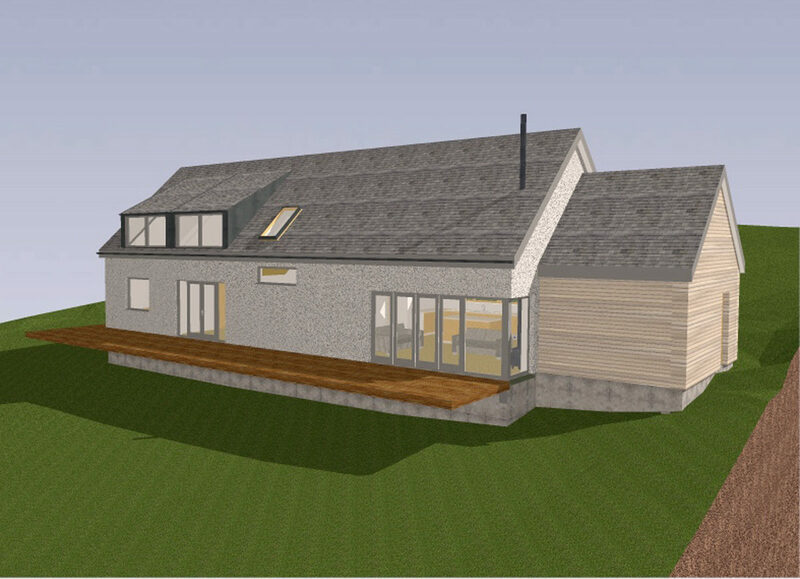 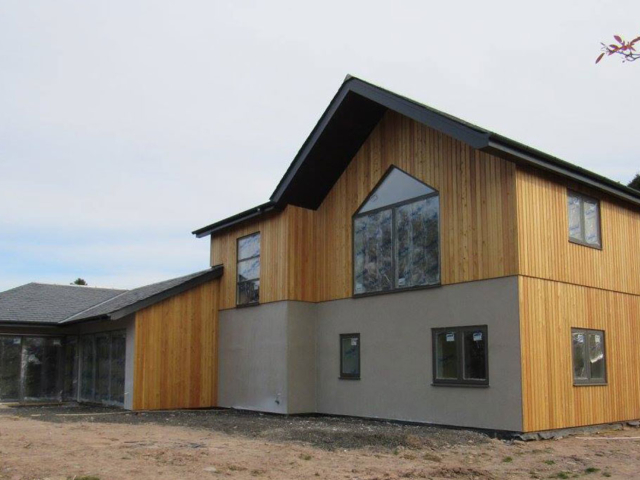 The house has large overhangs and is finished in timber and render, with slate roofs. 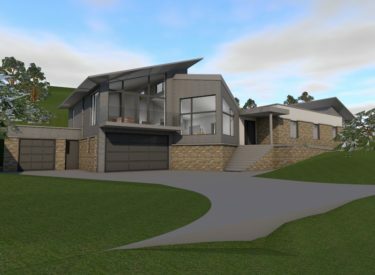 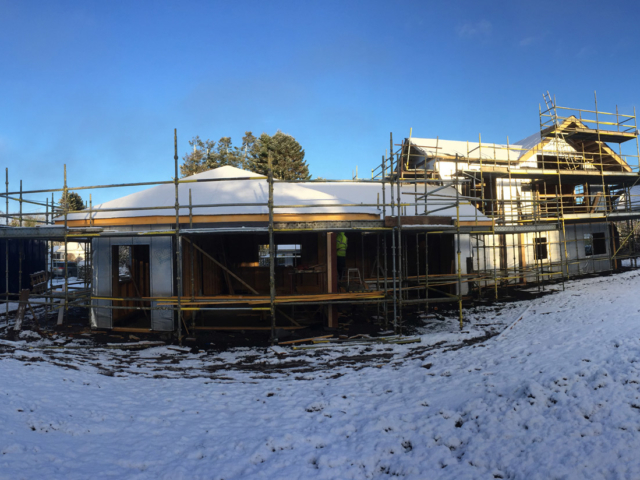 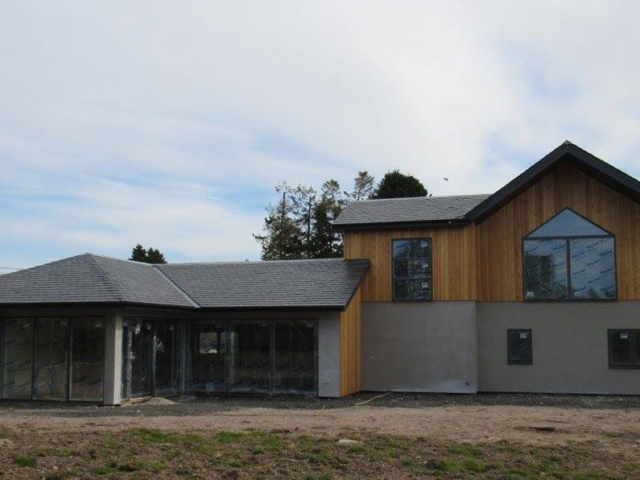 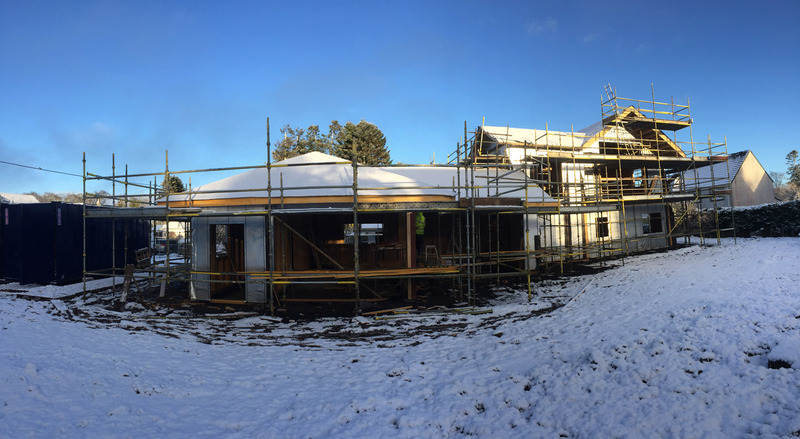 The house received formal planning approval in May 2016 with the works completed in late 2017. 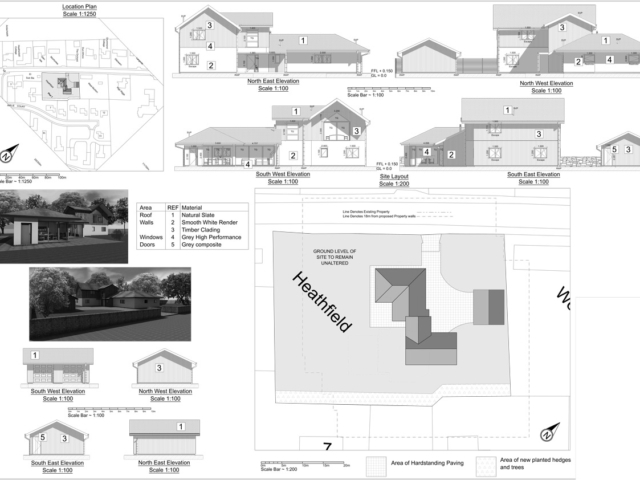 For more examples of our recent work, click here!